This article is meant for those who just have heard Bitcoin or just decided to check what is it. Bitcoin is a cryptocurrency and is meant to be used as a payment system which was introduced by Satoshi Nakamoto in 2008 and later released as an open source software by 2009. Transactions are distributed to all connected nodes and every transaction is chained and hashed one after the other. Which make it super difficult if not impossible to change or cheat the system. In Bitcoin mining is done through lending one's own processing power to verify transaction which are also known as blocks and later be rewarded with a Bitcoin. After the popularity of Bitcoin soared a lot of cryptocurrency have followed its path but with differences in how the data/transaction is stored and/or how a block is mined. Some have made the mining of block faster like Litecoin. Others have made mining relates to finding a chain of prime numbers like Primecoin. Which can only be mined using CPU. Some are even based off on a meme like Dogecoin. There are still a lot of new cryptocurrencies out there that the list can go on and on. 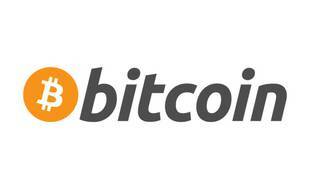 As of this writing the current exchange rate of Bitcoin is 1 BTC = 590.30 USD based from preev. When mining Bitcoins you will need a computer with a very good graphics cards. You can also use your CPU but it is now recommended to use a very fast GPU to be able to properly mine. Mining with CPU is slow and compared to the average processing of the community your chances of being able to mine a block is slim. So if you still don't have a good graphics card and you want to mine then go grab one now. If you are a gamer then it is more likely you already have a super awesome graphics card. If so then you are already set to start mining Bitcoins. There are also rig called ASIC that are built for the purpose of mining Bitcoins which a lot better compared to GPU mining. These rigs are monsters some are even rated as having a power of 600GH/s like the "The Monarch" from ButterflyLabs compared to 3 pieces of an ATI 6990 which can only reach around 2GH/s. "The Monarch" comes in priced at $2,196 a piece compared to buying 3 pieces of ATI 6990 it is already a big investment. Graphics card can be used in other things like games or video processing compared to owning an ASIC which you can only use for mining Bitcoins but if you are going to be serious on mining then buying one is a very good investment. When mining Bitcoins you have a choice either to mine solo or to join a group also known as a pool. Mining solo can be hard unless you have a lot of processing power. In a pool all connected clients processing power is combined to become a one huge mining entity. If a group successfully mined a block it will be distributed evenly to everyone. The computation varies but in general whoever have contributed a lot into mining the block will also receive a good share. A contribution is based on the processing power the client have been lended to the group. So even if you joined group you still need to have a good rig to be able to get a good share from the mined block. If you are going to mine it is better to own a good rig to be successful and don't try mining solo because you will only be disappointed with the result. To get you started download the GUIMiner and follow the instruction on their page to start mining.